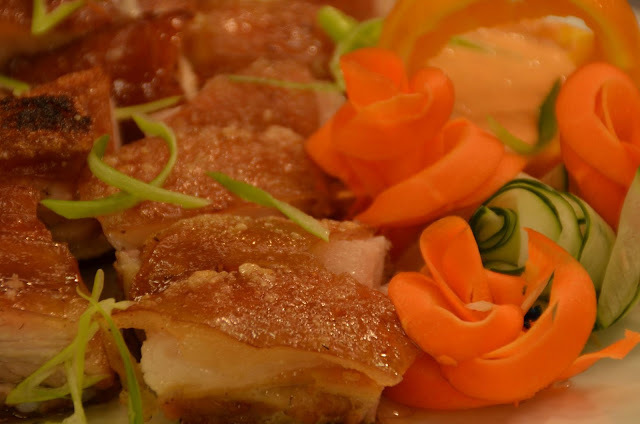 Magic Lechon with Chili Cream Sauce elevates even more the already distinguished reputation of the classic pork roasted on a spit. The suggestion of hotness provides a tingly dimension that makes it not just perfect in combination with rice but as grub to go with one's favorite drink. 1. Boil liempo in water with pork granules for 45 mins or until tender. Remove from broth and rub with MAGGI MAGIC SARAP. Let stand for 15 minutes. 2. Bake liempo in a 350 F pre-heated oven for 1 ½ hours or until golden and crispy. 3. Remove liempo from the oven and let rest for 10 minutes. 4. For Chili-Cream Sauce, just combine all the ingredients. 5. Chop liempo into serving pieces and serve with Chili-Cream Sauce.